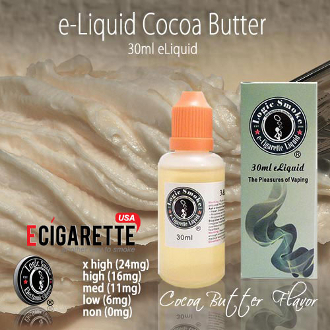 Our Logic Smoke Cocoa Butter E-liquid is a smooth, creamy flavor with undertones of chocolate. This is a great, light tasting vape for any chocolate lover. It is mixed well with other flavors such as our Caramel Coffee or Cheesecake E-Liquids. Pick up a bottle of Cocoa Butter E-liquid and enjoy.